FDCPA Attorney Services - Stop Debt Collectors Harassment - Free Case Review on Your Debt Harassment Issues. The FDCPA is a federal law that provides residents of all states with considerable rights and protections against abusive, unfair and deceptive debt collection practices used by debt collectors. Examples of debt collection practices prohibited by the FDCPA include using profane language, lying and calling a debtor at work if the debt collector knows the employer disapproves. The debt collector must also protect the debtorâ€™s privacy by not disclosing the debt to others such as friends, family members or co-workers. A debt collector, as defined in the FDCPA, is anyone who regularly collects debts on behalf of an original creditor. The FDCPA covers only consumer debt, which includes personal, family and household debt, but not business debt or any debt incurred for business purposes. Common types of consumer debt are credit card debt, automobile loans, home loans, utility bills and medical debt. A debt collector may not contact you if, within 30 days after you are first contacted, you send the collection agency a letter stating you do not owe money. However, a collector can renew collection activities if you are sent proof of the debt, such as a copy of a bill for the amount owed. 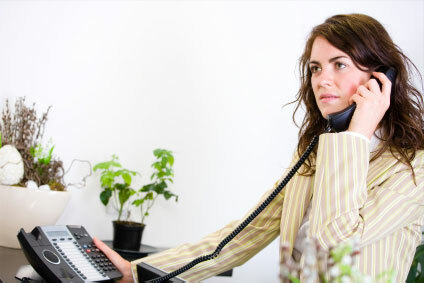 Calling you at work and knows that it is inconvenient or that your employer disapproves or forbids it. A debt collector knows that an attorney, whose contact information is known or is easy to locate, represents you and the debt collector continues to contact you. Threatening to take your property or garnish your wages without a court order (judgment). You may have the right to sue a collector in a court of law. If you win, you may recover money for the damages you suffered and, in certain jurisdictions, you may recover statutory damages. In addition, court costs and attorney's fees may also be recovered. Report any problems you have with a debt collector to the office of your state attorney general and the Federal Trade Commission. Many states have their own debt collection laws and your state attorney general can help you determine your rights. In addition, you may contact a local attorney to determine your legal options regarding an alleged FDCPA violation.